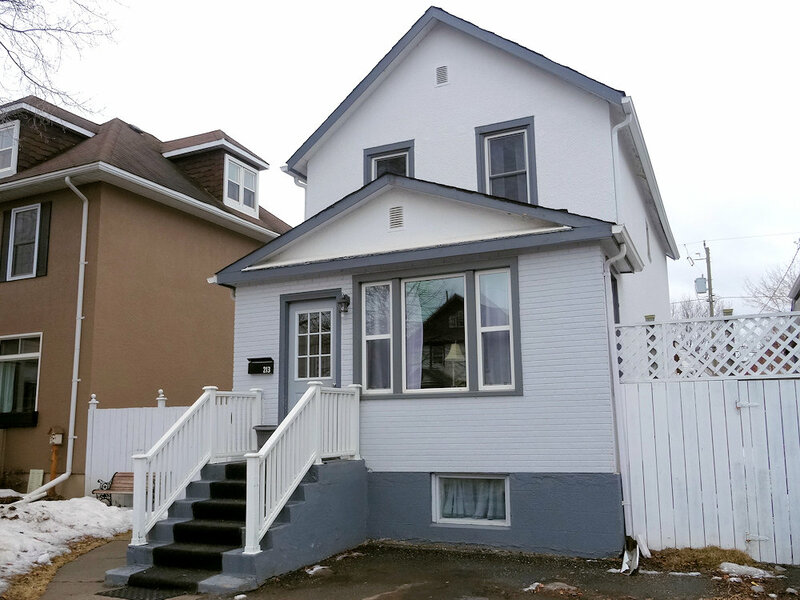 Beautifully updated, this immaculate century home features a modern open-concept main floor with a gorgeous and spacious colonial eat-in kitchen, three bedrooms and two updated bathrooms, wonderful outdoor living that includes two decks, plus a detached garage! The living room and formal dining room are open-concept, the former with elegant crown molding. The large colonial eat-in kitchen has a matching white ceramic-tile back splash, new stainless-steel built-in dishwasher and a French door that leads to the back entrance and large covered deck. Just below is an additional deck. The back yard is fully fenced. Quality updates include new paint and laminate flooring, a new roof on both the home and garage, and more. The partially finished basement has a large family room. The neighbourhood is central and within walking distance of all amenities — including schools and parks, Friendship Gardens, recreation paths and Confederation College.